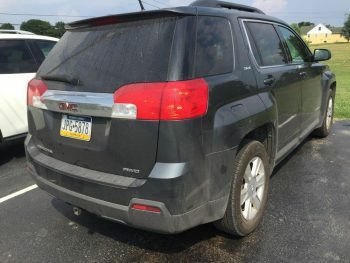 Local authorities are seeking information about this car — missing — after the body of its owner was discovered late Thursday in West Fallowfield. Authorities are asking the public for help in finding the killer of a man whose body was discovered Thursday night in West Fallowfield. The Chester County District Attorney’s Office and West Fallowfield Police Department are investigating a homicide that took place on Thursday evening. The victim, Samuel Algarin (age 31) was found deceased at approximately 10:15 p.m. on the side of Limestone Road in West Fallowfield. 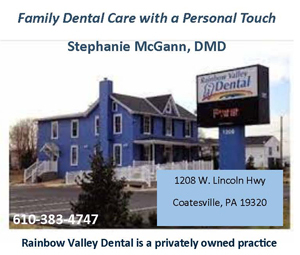 The victim lived in Quarryville. Police are actively looking for the victim’s car, a dark colored GMC Terrain SUV, PA license plate number JPG-5878. Police are also looking for anybody who had contact with the victim last night. The victim was in the West Fallowfield area with his children earlier in the evening. Anybody with information should contact the Chester County Detectives at (610) 344-6866.